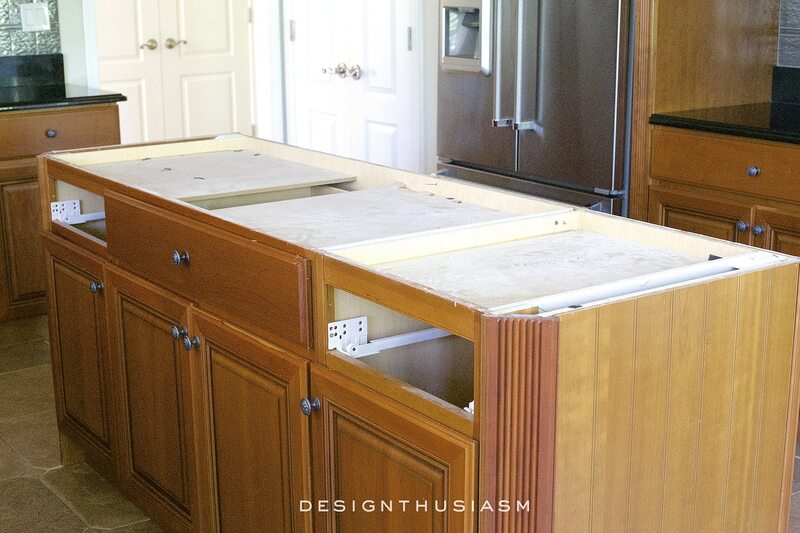 Last week I introduced you to my plans for my kitchen renovation, and now it’s time to start getting into the nitty-gritty of the real construction. 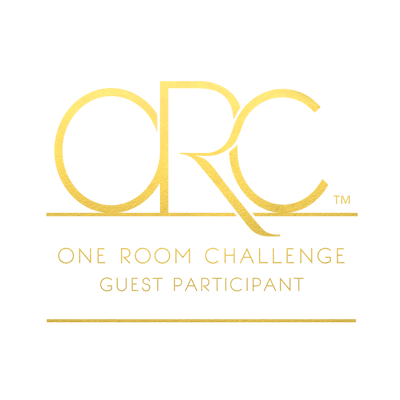 I’m sharing this room transformation as part of the One Room Challenge hosted by Calling It Home blog, and I’ll be showing you our progress over the next 4 weeks, ending with a completed and entirely transformed new white kitchen. The photo above is a reminder of where the room started, and this week we’ll look at replacing the kitchen counter for dramatic impact. I need to add at this point that of course we’re not gutting our kitchen or we’d never be able to complete it in this short period of time. Instead we opted to save a boatload of money by making the fewest changes as possible, yet changing those things that would offer the greatest impact. 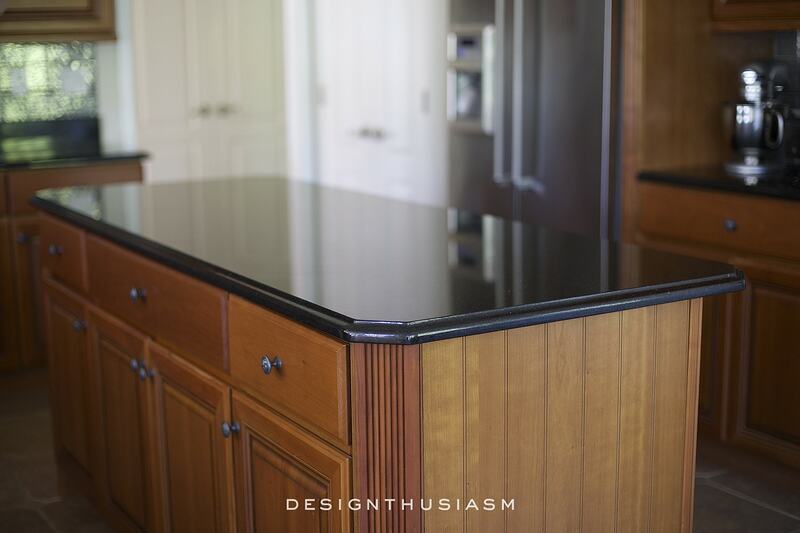 To that end, while I really would have loved to replace all of my black granite counters, we chose to replace only the island, as it’s dominant position in the center of the room would offer the most bang for our buck. I’ve been wanting this renovation since the day we bought our house a year ago, so I couldn’t have been more excited when they came to install the new counter. This was the very first step in the plan, so I eagerly cleared out the kitchen and happily anticipated the ripping out of this first big item. In addition to the island counter, I’ll also be changing my backsplash, so they removed the 4″ slab that was part of the lower backsplash. This piece drove me absolutely crazy as it broke up the line of the backsplash and I was thrilled to see it finally removed! We were lucky when the thick piece of granite was removed that it didn’t ruin the perimeter counters that will be staying in place. I’m anxious to see the rest of the backsplash gone, but that will be done by the tiler, so it will have to wait for another day. Above you can see the new slab in place and the beginnings of a lighter room. The space still looks quite dark, but I know where we’re headed and so I try to look only at my new white slab. 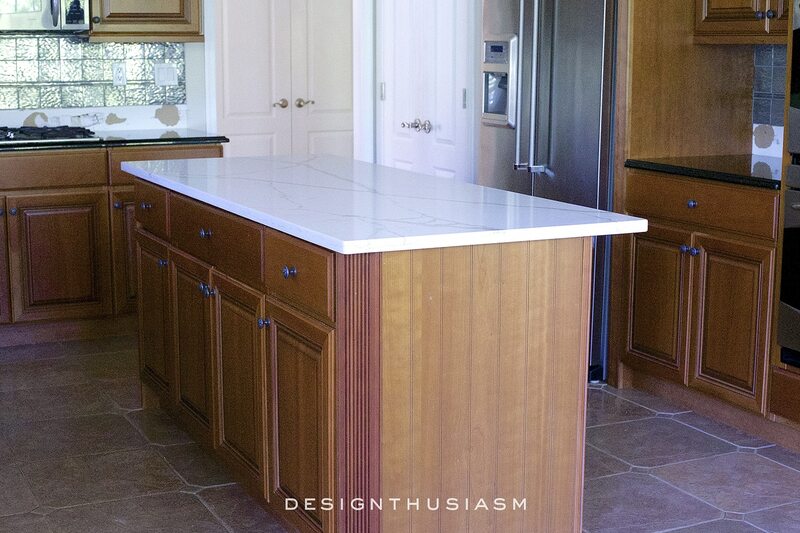 I selected a white quartz with a calacatta marble look. The material was chosen for its performance and durability and for the way it visually works with my upcoming backsplash. I’ve always looked past what was actually in this kitchen and seen what was in my head, so the lighting I’d added when we first moved in will work much better with our new lighter look. This one simple change is only the beginning but it already makes a pretty big impact. I love to look at the kitchen with this tunnel view below, where I can only see the counter and the white pantry and silver appliances behind it. It’s the closest I can come at this stage to approximating what the final result will be. Stay tuned next week when we’ll be replacing the hated floor! To see the full plans for the renovation as well as the inspiration for the space, you can visit last week’s post HERE. That’s a pretty slab, with that vein running diagonally. You make me glad I didn’t go with black granite when I did my kitchen (I ended up with red marble). Why don’t you like the floor? In the photo it looks like nice terra cotta tile. 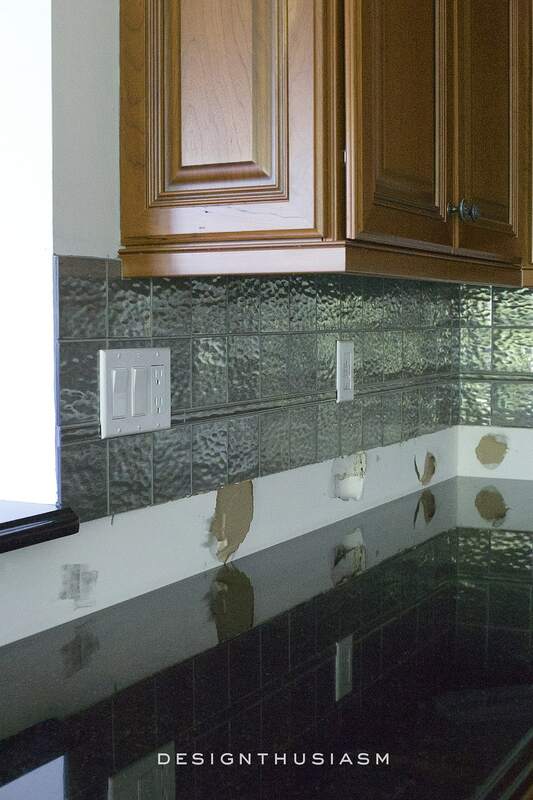 Can’t wait to see the new backsplash! You are off to a grand beginning! The new countertop is fabulous! The new counter top looks great! I can already see your new kitchen in my head too! Those chandies are going to look fab in the redone space! Lory, gorgeous and Quartz lives up to its name. We have it in our new home and you can do anything to it and I mean anything. Items straight from the oven goes on top. If you cut on the service with a knife nothing. We don’t do that on purpose bad for the knives but you can. Spill anything on it, perfect. I use Windex vinegar to clean and perfect. Love this stuff. Your chandeliers sparkle over top of the Quartz. Thanks, Cindy, and I’m so glad to hear that! 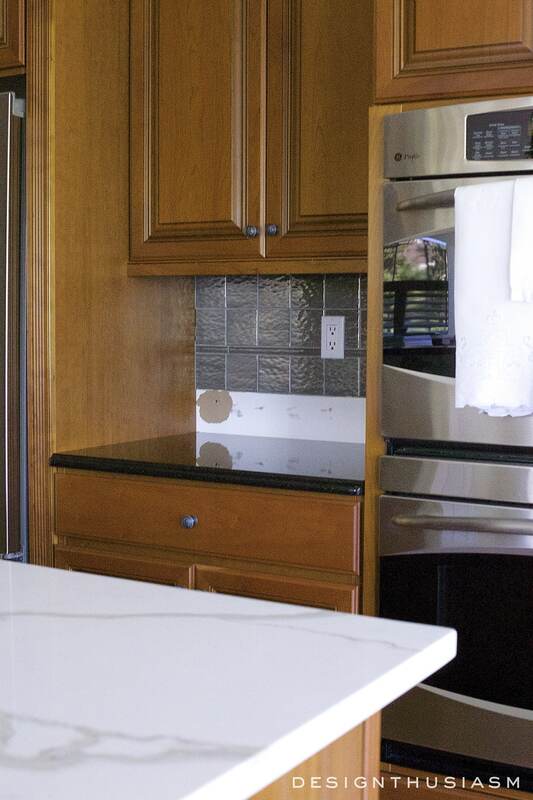 I really agonized over not going with real marble, but ironically, the real deciding factor was that the color actually matched the marble backsplash tile better than the slabs they had available. But the performance issue was a major part of the choice as well… 🙂 Thanks for following along!! It’s a beautiful slab, Lory! 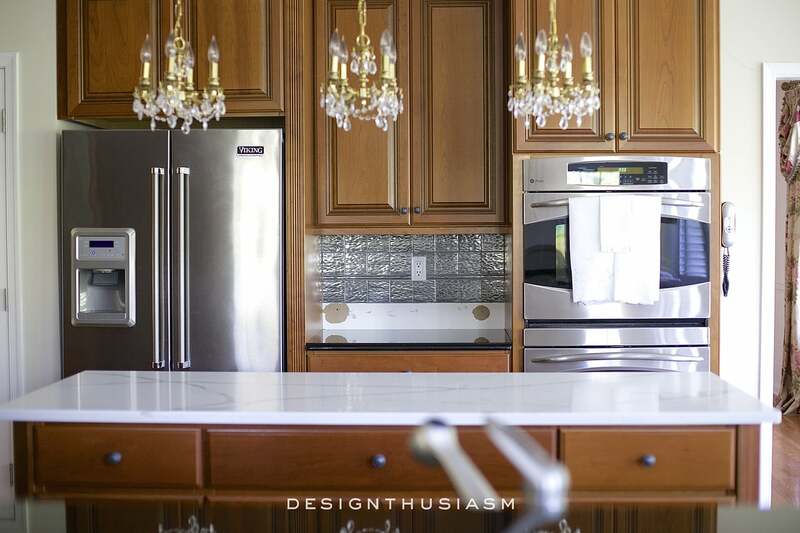 You’re going to love your new kitchen and I for one can’t wait to see you style it! It’s wonderful that there are some beautiful choices out there that look like marble. Can’t wait to see the rest! I can just hear the excitement in your post. The quartz is beautiful, and a wise choice in an area that gets so much use. These little tidbits are so fun-just makes me so excited to see what’s next lol! 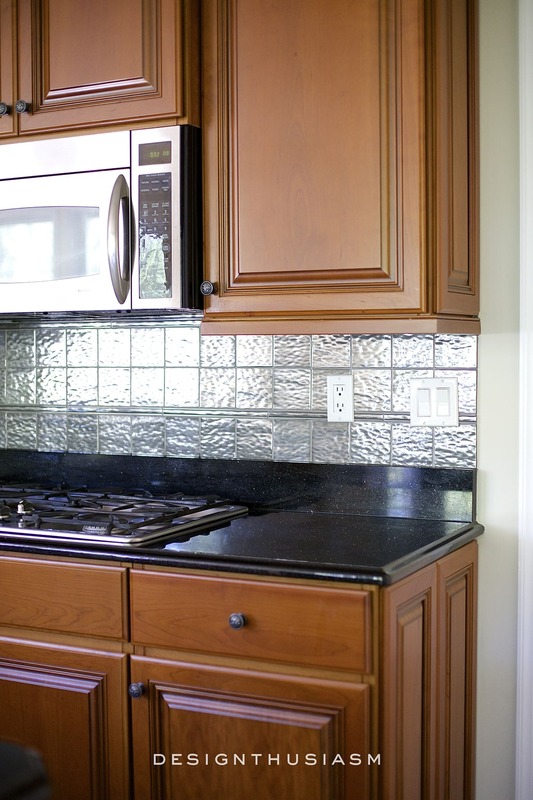 We still haven’t gotten to our backsplash–hopefully, by spring. We’re in the mist of painting the entire interior, among other projects. Seems there’s always something to do. This is when I wish for that adorable little cottage. Gorgeous piece of white quartz! I am so excited to watch this transformation! 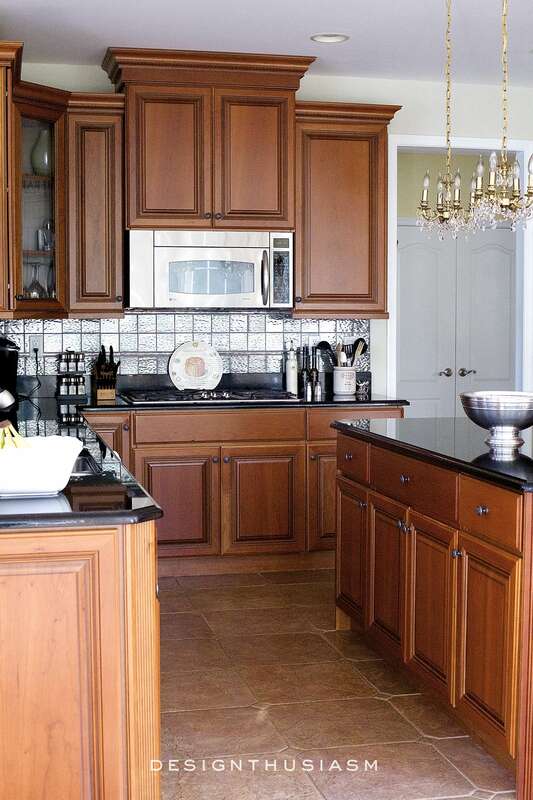 My kitchen has always had white cabinets, but at one time we had black granite on the counters as well. It showed every single spot and I didn’t like that…..so when we replaced with what we have had since our last remodel I was happy. I always wanted white…but I can’t win on some things with the Mr! Looking forward to your next steps. Yeah, I would have preferred all white, but most of the work I do on the island, so it should be a big help… 🙂 Our black granite is black galaxy, so it also has gold flecks in it, so not only does it show spots, but it also makes it impossible to clean crumbs. Drives me nuts! But I did have the fabricator seal the granite while he was here, so it’s much easier to clean than before. The new bright color is great on the island. I am sure you are enjoying it. I can’t wait to see the progress! 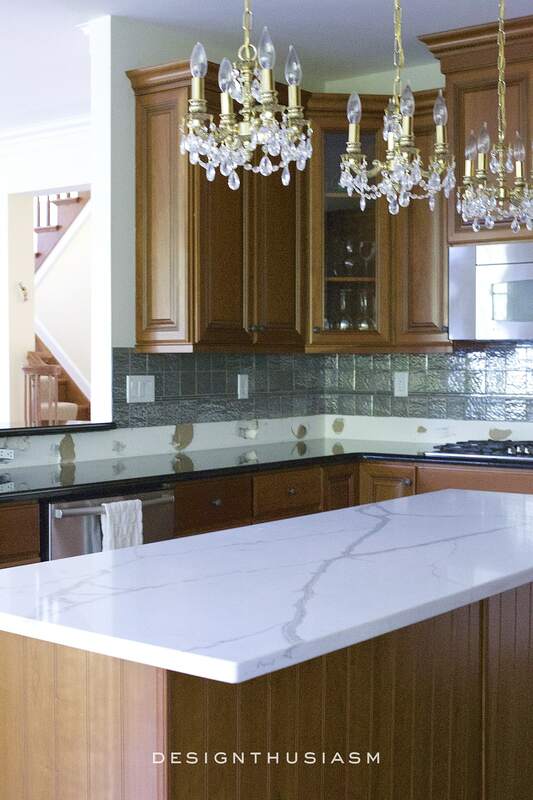 Your new quartz countertop looks more like marble than any other quartz I’ve seen! I wonder what the brand is. 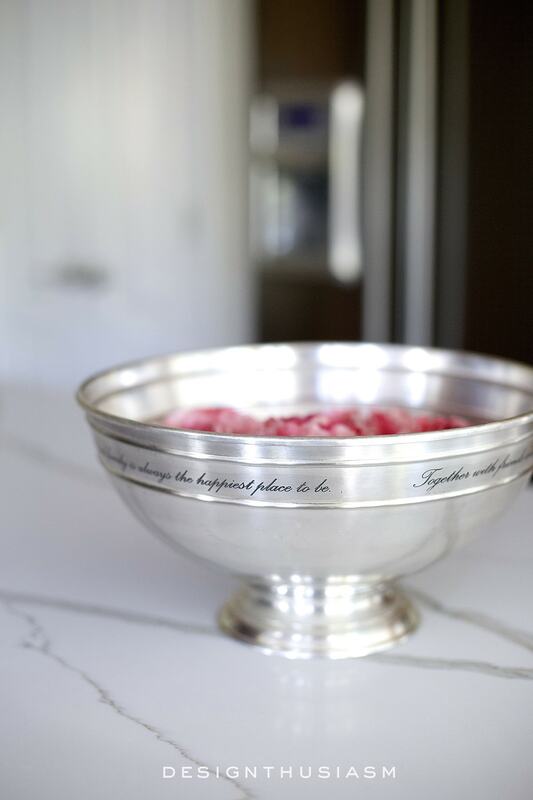 When I got new countertops awhile back, there wasn’t any quartz that looked enough like marble to suit me. Quartz was out of our budget anyway. I got the Formica 180 fx calacatta gold marble laminate. The edges bug me a little. 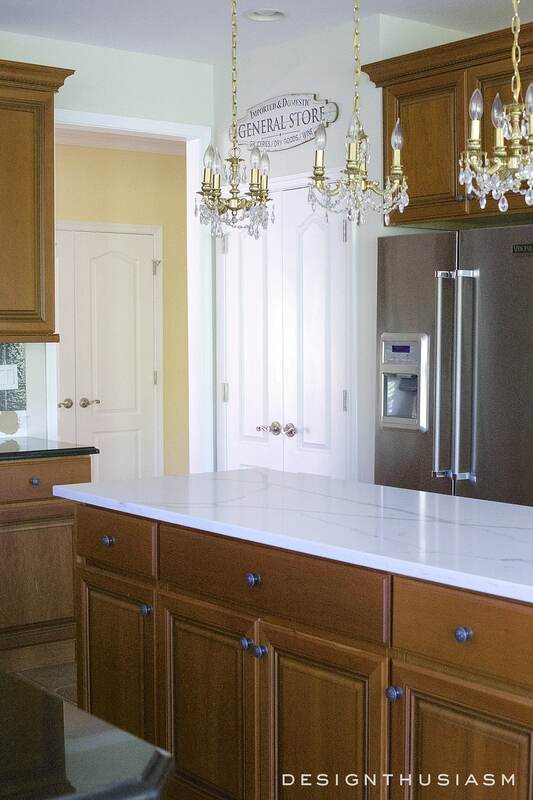 I really like your straight edges on your quartz much better than the edges on the granite you replaced. 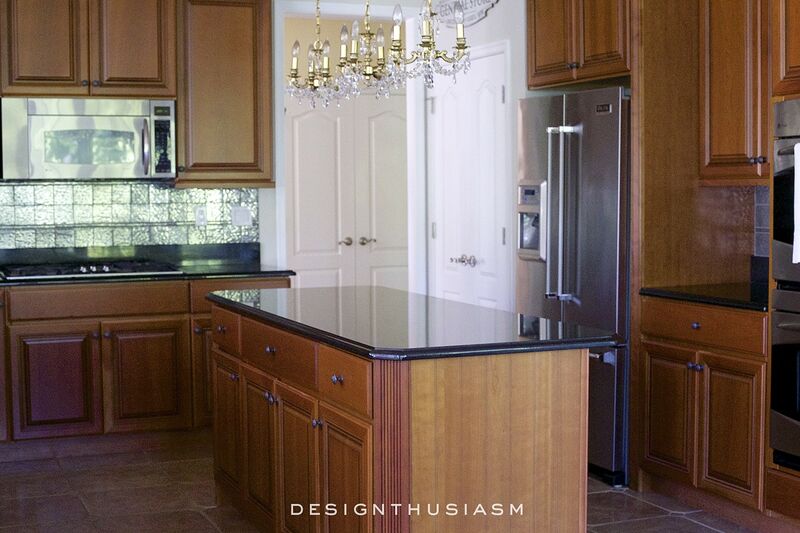 I really like your butler’s pantry so I’m looking forward to seeing your finished kitchen! Thank you, Lucille! Yes, I agree about the straight edges. If I could have changed the ogee edge on the black granite I would have. I don’t know the name of the quartz maker because we bought it from a local marble yard. But so far I’m very happy with it. Still would have preferred real marble, but it just wouldn’t hold up as well in the kitchen… 😉 Thanks for visiting! !